BRIGHTON, MI -- (MARKET WIRE) -- February 01, 2007 -- In a joint announcement today Mr. Vic Morrison, VP Marketing McCormick Distilling Co., and Mike Breazeale, President of The Promotion Agency, announced the continuation of TPA to manage the Tequila Rose Brand of promotional duties. 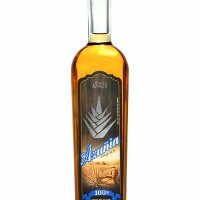 Tequila Rose Liqueur has enjoyed rejuvenated success with the investment in new packaging, two new flavors added to Tequila Rose the Original Strawberry Liqueur -- Cocoa and Java -- and national promotions. The plans for 2007 will continue to feature and expand on the brand's sponsorship of Bomshel, the sassy country music duo and CURB recording artists from Nashville. Three national programs are planned for 2007 including a sweepstakes in spring/summer and a contest in the fall that will be executed at both on- and off-premise accounts. "The brand has responded well to promotion and the association with Bomshel looks like a perfect fit for our consumer," Breazeale said. "We will continue to push the envelope of the association until the Tequila Rose consumer tells us they want something else." The Promotion Agency is located in Brighton, MI. TPA is a full service, four-year-old promotional marketing agency that includes other consumer packaged goods, QSR accounts as clients, as well as General Motors Accessories in Grand Blanc, MI. The agency and its founder, Breazeale, have long been members of the Detroit Adcraft Club and have won many honors for promotional marketing excellence including over 25 POPAI awards for Point of Sale projects. McCormick Distilling is based in Weston, MO and is in its 151st year of operation. The McCormick product line currently includes McCormick Vodka, Tarantula Tequila, McCormick's Irish Cream Liqueur, Wiser's Deluxe Canadian Whisky, Polar Ice Vodka, Tequila Rose, Tequila Rose Java, Tequila Rose Cocoa, Tarantula Azul, and Tarantula RTDs.